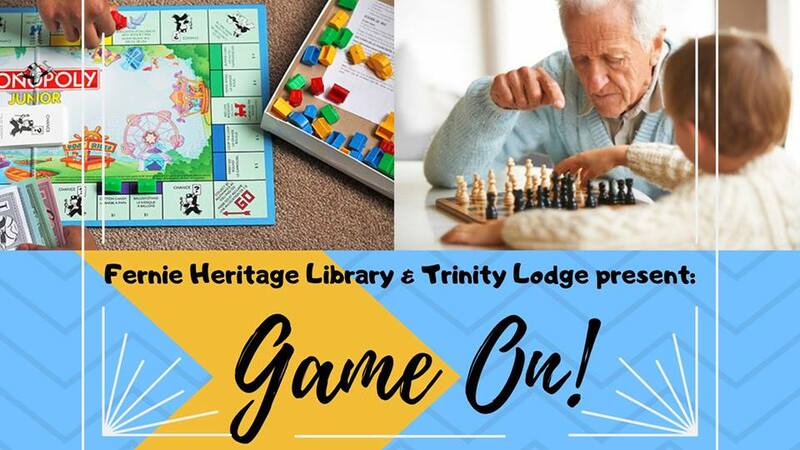 Back by popular demand the Fernie Heritage Library and Trinity Lodge invite you to a game of crib, tile rummy, Uno, Scrabble and more! MUST be accompanied by a responsible caregiver for this program held at the Trinity Lodge. Simple snack provided. Please note: waivers required (available by emailing fhlprogrammer@gmail.com, library circulation desk or at event).